"They have to come into the country legally," Trump said. 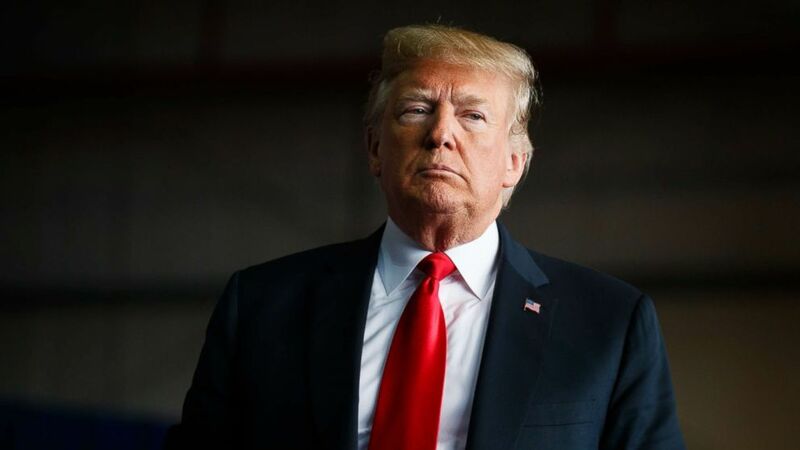 President Donald Trump on Friday signed a proclamation Friday aimed at denying asylum to migrants who cross illegally cross the border – a move that comes as a caravan of Central Americans wends its way northward toward the United States. “We want people to come into our country, but they have to come into the country legally,” the president told reporters on the White House's South Lawn Friday. The move also makes good on his pre-election promise last week to crack down on asylum seekers in response to a migrant caravan heading toward the U.S. southern border. Justice and Homeland Security officials had previously said the president would put the new rules into effect before he leaves for a trip to Paris later in the day. 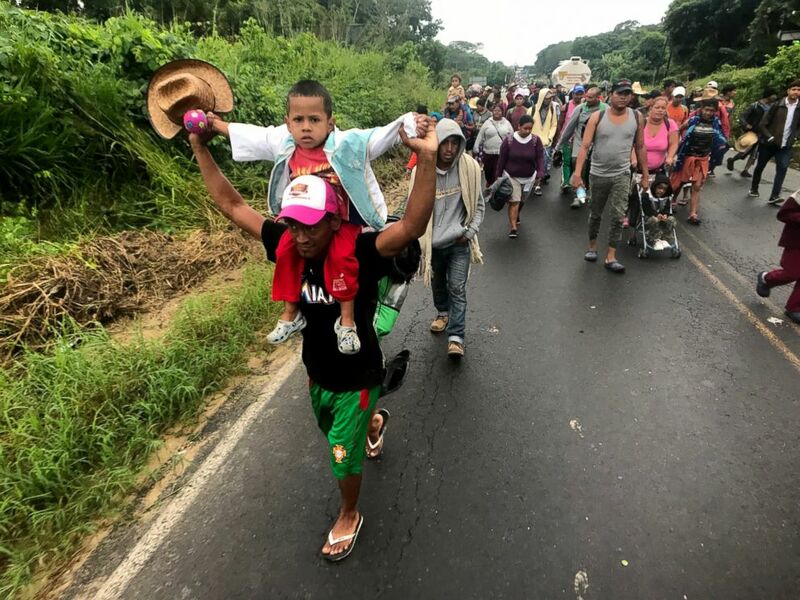 (Marcus Moore/ABC News) Central American migrants, part of a caravan traveling to the US-Mexico border, walk on a road near Isla municipality, Veracruz, Mexico, Nov. 3, 2018. Last Thursday, before heading to a campaign really, Trump also said migrants seeking asylum will be kept in tent cities, rather than released until their cases are adjudicated in immigration court. Trump said "we're putting up massive tent cities" with "the military's help" although a defense official said at the time that the Pentagon had received no request to set up tents for detained migrants. (Evan Vucci/AP) President Donald Trump arrives to speak at a campaign rally, Nov. 4, 2018, in Macon, Ga.
Saying that the president has the power to change the rules "if he determines it to be in the national interest," new Acting Attorney General Mathew Whitaker and Homeland Security Secretary Kirstjen Nielsen announced that the suspension of the current would mean that "any aliens who contravene a presidential suspension ... will be rendered ineligible for asylum." The announcement said the president had the authority to impose "any restrictions he may deem to be appropriate." "Our asylum system is overwhelmed with too many meritless asylum claims from aliens who place a tremendous burden on our resources, preventing us from being able to expeditiously grant asylum to those who truly deserve it," Whitaker said. "U.S. law specifically allows individuals to apply for asylum whether or not they are at a port of entry. It is illegal to circumvent that by agency or presidential decree," Omar Jadwat, director of the ACLU’s Immigrants’ Rights Project, responded in in a statement. When asked whether the goal of funneling people to the ports of entry was aimed at reducing the number of people who claim asylum, given the slow process and legal backlog, a senior official said "the intention is to be able to more quickly arrive at a determination for those who have legit claims" adding that they are working on "staffing models to ensure that we can handle the claims we will be seeing. " ABC News' Lauren Pearle contributed to this report.